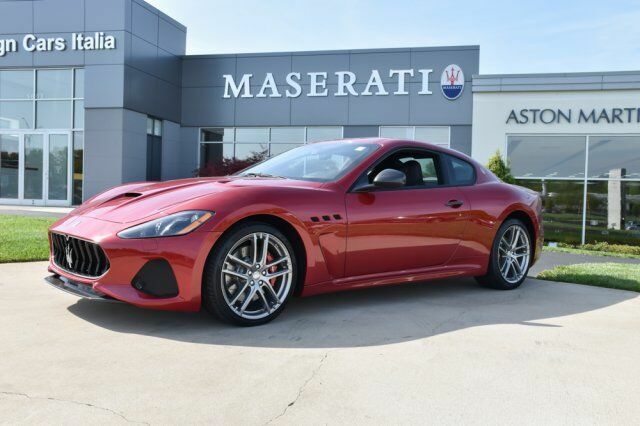 Sturdy and dependable, this 2018 Maserati GranTurismo MC makes room for the whole team. Finished in Rosso Trionfale, with Nero Leather Seats, Tire Specific Low Tire Pressure Warning, Side Impact Beams, Outboard Front Lap And Shoulder Safety Belts -inc: Height Adjusters and Pretensioners, Front And Rear Parking Sensors, Electronic Stability Control (ESC). Dual Stage Driver And Passenger Front Airbags, Dual Stage Driver And Passenger Door-Mounted Side Airbags, Driver And Passenger Side Airbag Head Extension, Back-Up Camera, Airbag Occupancy Sensor, ABS And Driveline Traction Control. Window Grid Antenna, Valet Function, Trunk/Hatch Auto-Latch, Trunk Rear Cargo Access, Interior Carbon Pack. Evolut.1, Aerodynamic Carbon Fiber Pack, carpet Piping, Stitching for Internal Areas, Trip Computer, Transmission: 6-Speed Automatic -inc: MC Autoshift and Trofeo shifters, Transmission w/Driver Selectable Mode and Sequential Shift Control w/Steering Wheel Controls. Stop by Foreign Cars Italia located at 5603 Roanne Way, Greensboro, NC 27409 for a quick visit and a great vehicle!